Cristina Maroto Sanchez is a certified Pilates instructor who has been working in the Pilates and Fitness industry for 8 years. She received her Bachelor degree in Sports Sciences in 2008 and her Bachelor degree in Physical Education in 2009. Her passion for Pilates began in 2005 when she decided to become a Pilates Instructor in Madrid, where she imparted her extensive knowledge to her clients and ultimately helped them reach their personal goals. Further into her career she also worked as a personal trainer in the highly regarded Reebok Sports Club Madrid where she further refined her own personal training programs. In 2012 she became member of the APMA (Australian Pilates Method Association). Working in Sydney in the different Studios has brought her the ambition of running her own Studio. In 2012 she opened her business in the North Shore, being now established in Milsons Point. Cristina educates her clients about the importance of living with a strong and balanced body by providing effective techniques tailored to each individual client. 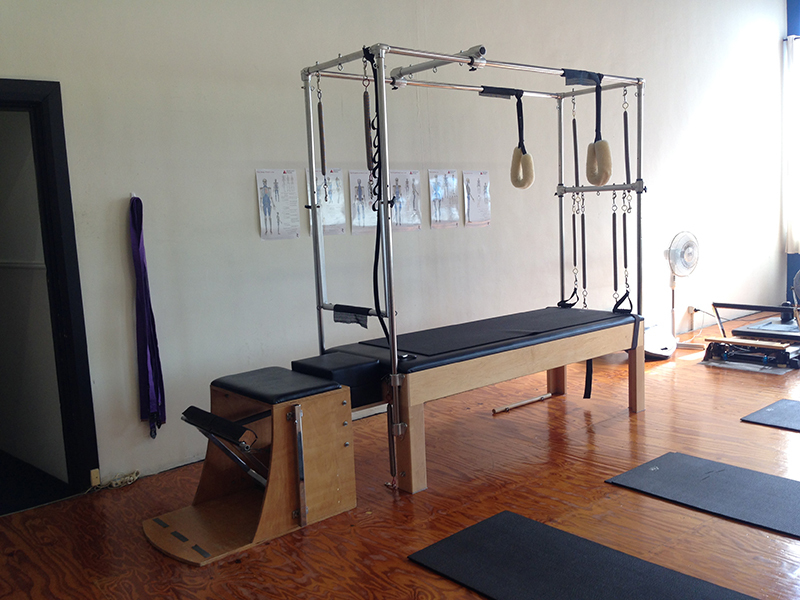 Studio Pilates: Private or Semi-Private Pilates classes with the traditional Pilates Equipment. An extraordinary workout that will make your strength and flexibility in a way that you couldn't imagine. With this type of specialised Pilates sessions you will reach your own goals and progress at your own pace getting the most out of each session for your needs. Rehabilitation programs: Clinical Pilates sessions to recover your body from a injury, illness or surgery. The rehabilitation programs allow your body to facilitate the recovery from loss of function, allowing your body to get back to “move”, to “work” to “play”, to “live”. Group Pilates classes: “A real body challenge” where you will workout muscles that you weren't aware of before. The classes are a combination of strength and flexibility where you will challenge your core muscles : “abs, buttocks, back” Everything coordinated with a specific breathing technique that will make your circulation improve as well as your body awareness. Yoga classes: Using an established sequence of postures that flow into each other, it provides a strong physical workout, improved balance, subtleness, strength and connects the body & mind more vividly. Cristina´s passion for teaching and her healthy lifestyle make her classes professional, fun and educational for everyone.